Since 2013, James Obst has consistently raked in the dough at the series however a bracelet has eluded him. Well not anymore! The superstar Aussie from Adelaide won his first gold bracelet at Event #26: US$10,000 Razz Championship. 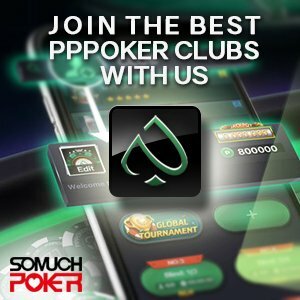 Somuchpoker: You had a really great start this year with a second place in the Triple Draw Lowball and now the win of the 10K Razz, how do you train for those mixed games tournaments ? James Obst: Just before the WSOP we played the SCOOP on PokerStars, and you get exposure to all the games. I tend to take long breaks between playing, so I haven’t played since January before these online series in May, I can train on all the different games before WSOP and try to implement new theories. I tend to focus more also on training to be in good physical condition and mental shape to last here for 2 months. I’m just always on the fly trying to think about hands and trying to adjust my game while I’m playing. SMP: Last year you had a very good summer too with a second place in HORSE and a nice deep run (13th) in the Main Event. Do you have special good vibes here? James Obst: The first 2 years in Vegas, my results were not so great. I had small wins and small losses and I was really feeling not well, physically. I was feeling I didn’t have access to my brain during hands and I was playing more on instinct. I knew I was playing really badly during periods and I felt I wasn’t doing the whole Vegas thing the way I should have done it. I was staying in hotels and never getting sun, which for me is a really lack for my health, I didn’t give myself the best chance. I felt so much different the last couple of years, even if I still had problems with my body, but I felt that I could think a lot better during hands and that gave me a lot of confidence and belief that I can get some big results and I’ve been lucky! SMP: You already won many titles online, but how is this live victory different from what you ever lived? James Obst: It was a bit surreal. I always tend not to show emotions in live, not quite sure necessarily what the reason for that is. It’s always awkward not to seem happy when you celebrate a victory, but the fact is that you have to keep your head on your shoulders because at that stage there is still a long way to go and many tournaments to play. So if I don’t do any results the rest of the summer, I’ll just be a small winner in fact. I know that’s not really an excuse not to seem happy and not to show emotions but I guess it’s also because it was a 97 player field and it was cool but not like if I defeated a thousand players. SMP: You’re in the race for the WSOP player of the year title, is it going to change something in your schedule to win it? Does this title really matter to you? James Obst: I’m not going to deny it would be awesome to win it but I have to make sure my focus is on playing. I have to be ready for the big tournaments. I’ve already taken 3 days off this summer and I’m going to keep other days off. I’m not going to start multi-tabling to have more money finishes and that sort of thing. I just want to make sure to give my best for the 50K and the 25K PLO. SMP: You started playing real young online, at 14, and won more than 1.5 Million at the age of 19, how did you managed to stay down to earth? James Obst: Good question, probably by losing a lot of it back! I think I was raised good by my parents in that sense. They are really humble, especially my dad, he’s always thinking on others better than himself. Even though I had good results I also had dark times in my poker career and …I just think my circumstances forced me to be down to earth. I had some tough times and did many mistakes. For me personally there is a sort of calculated risk because my circumstances are quite unique and I played under bankroll in the extreme. Some people can find very funny the things I’ve done with my money but for my perspective I don’t have regrets because at that time it made sense to me and they landed me having to rebuild my bankroll many times. My bankroll management has been an issue, but again for me it has been calculated and I never felt like a degen, I took risks and it worked sometimes. SMP: You specialized yourself quickly in mixed games. Why this choice and which game do you like the most? James Obst: When I was first learning the game I started with No Limit Holdem in 2cents/ 4cents and I kept on losing my 2 dollar bankroll and I was kind of sick of that game, so I tried Stud Hi Lo and I just decided to play any 3 low cards and I had a lot of success quickly. I really enjoyed Stud. I never liked to be a one trick pony. It’s probably my personality to play all the games. Same thing with golf for example, even if I’m a really bad golfer, but I really intend on being able to play all the shots, that’s just more fun. SMP: What pushed you to move to live tournaments when it was probably easier and more comfortable to just stay at home? James Obst: I do like going out of the house and feel more social, being too isolated at home is a problem for me. Suddenly it was more and more with live tournaments when you can win much more than online and it makes financial sense to play them. SMP: What are your goals now for your career? On what do you want to focus the most? James Obst: Honestly, it’s first to have as big of a summer as I can and then depending on how it goes I might take quite a long time away from poker because if I’m honest, poker is not my number one passion and interest. I find it very stressful and it’s taking a big toll on my body. I’ve been trying for years to get myself well because I had a lot of health problems in the past and every time I’m in a poker series, it demands so much on my body that I regress in my progress. So I would really like to have the freedom to optimize my body and just have more fun. I’ll see what poker fits after that, but poker is not a priority. For the last few years I’ve only really done Vegas, as a poker trip, and Aussie millions, a little bit of Macau, but I’m not sure you’ll be seeing me a ton next year. I’m not even sure of going to the WSOP next year, we’ll see. SMP: What are your other passions? I saw you were a former junior champion at chess in Australia. Do you still play today? James Obst: I still play very little, even if I really enjoy chess. Occasionally I play online sometimes. I play different kind of sports, tennis and golf. SMP: I looked at your social media and you seem really discreet. You don’t tweet often and you just have a few people from poker as Facebook friends, which is quite unusual. Is that a choice of staying away from the poker world? James Obst: I do have a few poker friends but I think I just view the whole culture about tweeting a lot differently, in the sense that, to me, and I don’t want to be disrespectful to anyone, it’s just my personality, me having doubled the average stack in a tournament or me being in a final table is not something I see as a special accomplishment or anything. I don’t see it on a level that needs to be celebrated by a lot of people on social media. I just view that sort of thing as attention seeking and it’s not really in my nature to want to do that. I don’t hold anything on anyone for doing it and I know there are arguments for doing it, a sponsorship, friends and family who want to know how you’re going, but at the same time I just personally don’t like it. People are generally tweeting when they’re doing well, not when things go bad. I have a lot of non-poker friends who are awesome people and really successful at what they do. But no one will ever know what they’re doing on a day to day basis. Me being a poker player is I think far less impressive than what they do to help the world and other things and I don’t feel in any way that I should be clamoring for attention based on “I got lucky to win a coin flip” in a tournament. I just think it would be silly and I never enjoyed reading that stuff so I don’t really follow poker players for that reason but I’m still friends with a lot of them. It is just a personal issue that I have and I try to make sure that I’m as respectful as I can for the part of luck in that game and not trying to create an image that I’m not living. I just want to be a real person. SMP: How is the situation of poker in Australia now? It seems there is a real boom in the Asia-Pacific area now when on the other side it is quite in decline in Europe. James Obst: We have more and more very good players. Every year we have more players winning tournaments all around the world. We have a complicated situation right now with online poker that might get us to our own version of Black Friday so it doesn’t sound good now but nothing is done yet. We have a lot of good players and in terms of local tournaments I think they’ve been very consistent and solid. Possibly it will continue growing in some of the cities. SMP: And will you be considering of moving if you can’t play online anymore there? James Obst: No I don’t think so. I only have really playing online during the SCOOPs and the WCOOPs in the last few years and I could get involved in some other projects instead and focus more on my lifestyle. It’s really hard to win money already with those series considering the quality of the field. I’m involved in sports betting to some extent. I really enjoy that and the more time and effort I put in that, the more results I get. Splitting my time between poker and sports is already quite difficult so I had periods when I don’t do sport betting at all for a few and my poker results are increasing. And I think I could do really great at sports too if I take a break from poker. SMP: I also saw you were a coach on runitonce, do you consider keep doing it next year? James Obst: I’m not sure yet about that. I finished my contract and although I enjoy helping people and have gotten great feedback for my videos, it’s been a significant stressor for me because the community demands very high standards, and so do I for myself. So I’m not sure how many more I’ll be making in the future.